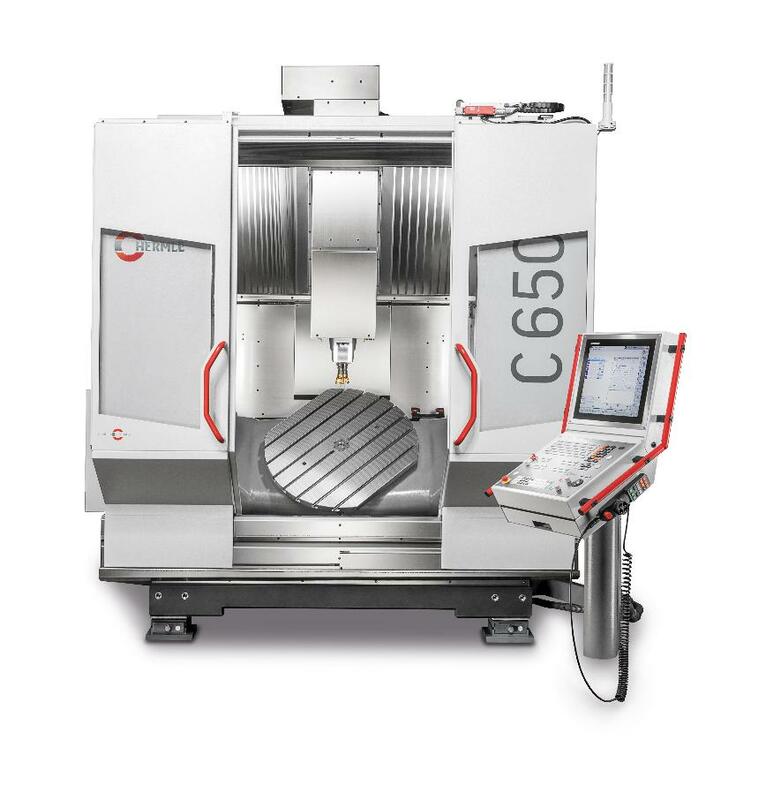 The C 650 uses a modification of Hermle&apos;s tried-and-tested gantry-type design, with a mineral-cast machine bed. 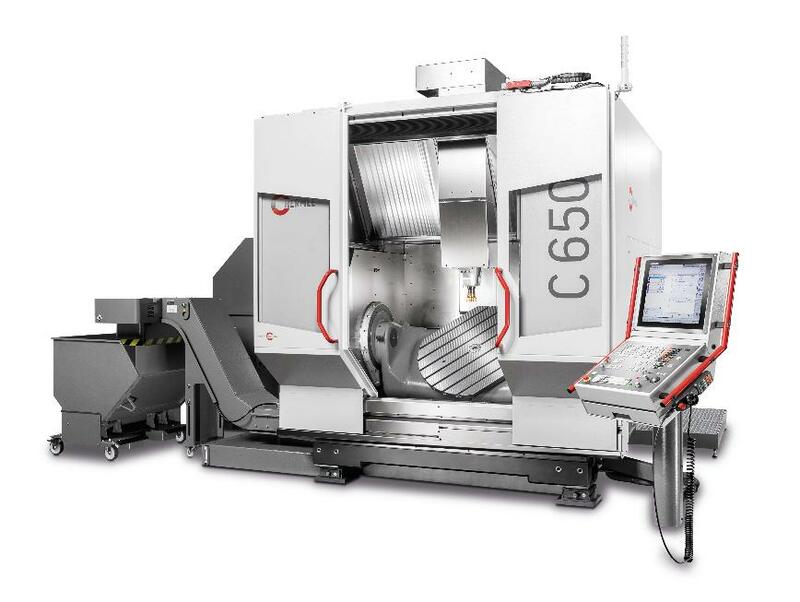 The integrated, rigid clamping table can cope with workpieces up to a maximum of 3000 kg (1050 x 900 x 600 mm) in the 3-axis version, making it ideal for toolmaking, mould construction and machine construction. The swivelling rotary table of the 5-axis version can accommodate workpieces up to 1500 kg (Ø 900 x 600 mm), allowing for highly precise machining. The C 650 has an integrated tool magazine for 42 tools. The control panel of the C 650 is also designed to swivel easily to the magazine loading location, so the operator can enter the tool data directly into the tool table in the control system.